If you say Mateo Cassierra’s name around Ajax fans you will probably hear very different things about him, depending on who you listen to. Some will say that he is a failure who will never be good enough for the Ajax first team; others will say that he is an amazing talent that is really showing what he is a capable of in the Amsterdam club’s second team, Jong Ajax. I am certainly on the latter side: he is really solid striker that could be a essential part of the main squad, but he really needs to improve. In short, he isn’t one of those mercurial talents that seems to be a guaranteed success, but he could be a very good striker in the future, writes Rik Barendrecht. Cassierra is one of the products of the famous Deportivo Cali youth academy, which produced the likes of Jeison Angulo, Nicolas Benedetti and Luis Manuel Orejuela. 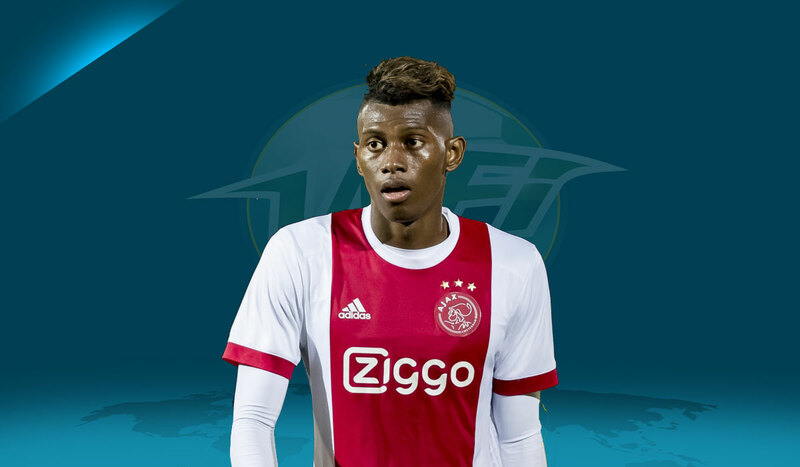 As every watcher of South American football knows, Cassierra wasn’t a very big talent – not bad, but not exceptional – so it was a big surprise when the news came out that Ajax signed the young striker for €5 million. He did play a lot of games for Deportivo Cali’s first team, as well as for their reserve squad. In all, he played 43 games, scoring 13 goals and registering three assists — a respectable return for a boy his age. Cassierra signed a 5 year contract, which brought up a few questions in the fanbase, but it showed that he would be a long term project, which his time at the Amsterdam club has so far proven. Current Dortmund coach (and former Ajax boss) Peter Bosz tried to ring down the hype by saying that Cassierra would be a player that would be brought into the squad slowly. He made his Eredivisie debut against Sparta Rotterdam and immediately scored, ensuring that expectations would rise by the minute. For his goal, he ran through the Sparta defence and chipped the ball over Roy Kortsmit. The goal showed his potential, as well as his current ability. But after that moment, he virtually vanished into obscurity, and since then, he’s mainly played for the Jong Ajax squad, where he currently still plays. Some people started labelling him as a bad player, or at the very least a bad purchase, but a few people knew how good he could be and still believed in him. For the Jong squad in the Dutch second division, he showed his quality once again by scoring 11 goals and registering five assists. With Bosz moving to Dortmund and Jong Ajax coach Marcel Keizer replacing him, the chances of Cassierra coming back to the main squad seemed to improve, but so far the opposite has been true. While he was often named as a substitute under Bosz, he hasn’t been called up for most games under Keizer, a trend which is continuing. But the fans are trusting Cassierra again, mostly because of his great performances in the second tier. Keizer has already had to endure a lot of criticism, and his stance on the Cassierra situation isn’t going to help him, especially because of the poor run of form of Kasper Dolberg is in. Most people see Cassierra as a good alternative to the Danish striker, with good reason: Cassierra is tearing up the Jupiler League, having a hand in 13 goals in just 14 games, nine of which are his own. Cassierra is a tall and pacy striker who combines these qualities very well. His height makes him a force at set pieces. His shooting ability is largely based around power, but he could do with honing his finishing skills to make him a more reliable threat in one-on-one situations. One of the troubles facing Cassierra when he joined Ajax was that he needed to be involved in the build-up play, in contrast to his time at Cali, where this was never the case. In the 2016/17 season, this was a real problem, but he seems to have improved his passing ability, as evidenced by his improved assist outlay. He is also very intelligent on the field, often creating space for his teammates via his movement and knowing when to let the ball run through thanks to his knowledge of where the other players are around him. Physically, his attributes were never in doubt — if he can play in Colombia, he can play in the Netherlands. Robustness and resilience are par for the course for many young South American players. He sounds like he’s close to the perfect package, right? But no, he certainly isn’t. His heading capability has seemed to drastically go down since joining Ajax. Despite his height and strength, his headers aren’t very accurate, and that results in a lot of missed chances. As mentioned before, his finishing is also very unreliable: he’s missed a lot of absolute sitters in the Eredivisie, and that has tarnished his reputation quite a bit. While it seems he’s improved on this part of his game if his Jong Ajax numbers are anything to go by, it’s still something worth taking into consideration as he makes the step up to the first team in a more high-pressure environment. His first touch is also very unreliable, which can lead to good attacking moves breaking down. The chances of him being called up for the first team are improving by the week, and that’s really positive. I think he will succeed at Ajax, but he really needs to take all the help he can get. Will he be as good as Jackson Martinez was before his move to Atletico Madrid? No, probably not. But I think he could be a player that can help some good teams in the more prestigious European leagues. There were some rumours that Malaga are interested in his services, but it looks like he’ll be playing his football in Amsterdam for the immediate future, maybe even in the first team that his performances for Jong Ajax demand.